Created by a French artist named Véronique Auboy, “Le Baiser de la Matrice” (“kiss of the matrix” – unavailable in 2016) was a web project that enable people from all around the world to webcast themselves reading Proust in 2007-2008. 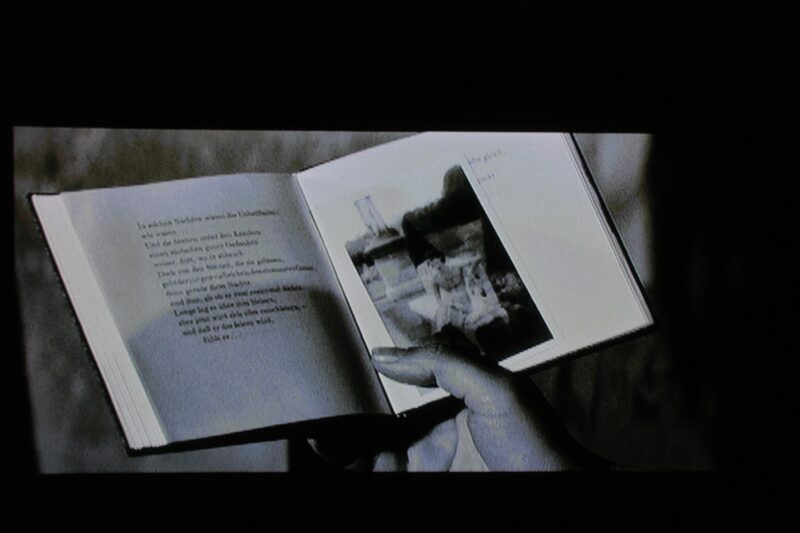 Ironically, Aubouy fell in love with the concept of filming readers by reading Jean Luc Godard. Since 1993, she has devoted her time to the filming of a wide variety of readings of Proust. Some were done in a Museum in Switzerland with actors reading Proust live in beds, some others present people reading Proust in their favorite setting, would it be a field or a shop. The “Baiser de la Matrice,” began as a utopia. She thought it would be possible, if thousands and thousands of people would seat with different pages of Proust’s masterpiece at the same time, to have it read in 10 minutes. Nevertheless, even in January 2009 only about 46% of the project has been recorded. 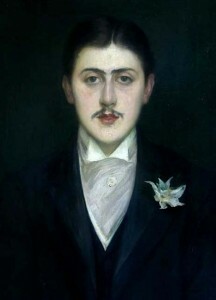 The filming was done live – that is to say that there was only one take – and the part of Proust to be read was automatically chosen by the matrix. While the choice happened “by chance”, the reader still had six hours to prepare the text – and this lead to some very interesting staging. The main reason why I felt compelled to have my students take part of this project in the Fall of 2008 was a pedagogical one. For language classes, I often look for realia– and here, students were offered the chance of being part of a true event, beyond classroom, to belong live to a whole community of readers. In other words, they were actively engaged, themselves, in that realia. Concretely, this is how the project worked: students who signed up would come to meet with us at the FLRC. There, we explained to them the way the website worked, they registered and the matrix automatically gave them a short extract from Proust. This page was printed and thoroughly read. Students actually underlined many words, re-wrote others and so on. We explained the context to the students (i.e. what was happening at that time in la Recherche) and also helped them with pronunciation, vocabulary, grammatical difficulties and so on. The goal was to provide the students with all the linguistic and cultural tools they needed to be better able to own their reading of the text, to be educated and thorough readers of it. This one on one special class in Proust took at least one hour per student, but was worth the time when we saw the excitement of our students recording themselves reading, live, such sophisticated and beautiful literature. In the end, the reading appeared as a very modern one. They were not anymore lost alone in a book – they were opening up to the people who will later on look at their videos. All of the students who participated actually chose to tape the text on the screen. This way, they always read to the camera, as someone who would present a newscast would do. And this was a very good example of what a social type of reading might be.